We live at the base of the foothills leading to the Rocky Mountains. We are a meld of high plains, desert, mountain, urban and rural environments. I took photos of yucca plants yesterday within a foot of each other, struck by the cycle of aging these three plants represent. I was curious about the plant with the dark brown seed pods (there were many on the hillside) because I thought yuccas bloomed annually, and these didn’t appear ready to shed last year’s flora in time for this year’s flowers. 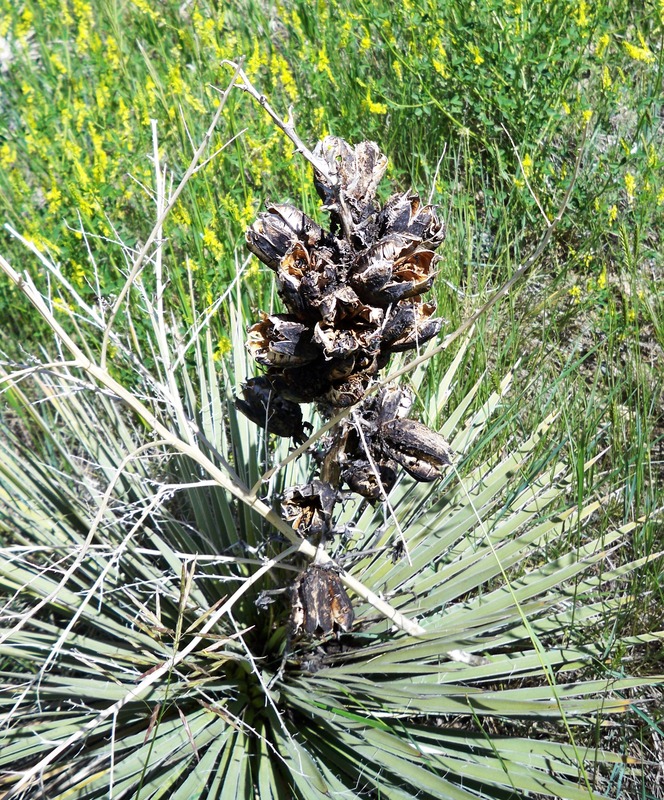 I learned yuccas bloom annually, however, if the flower stem is left untrimmed, yucca flower spikes will remain for up to two years by turning into these dead-looking pods. Yuccas proliferate by root spread and by seedlings from the pods. What’s not clear is whether these untrimmed plants shed their own spent stems and flower again. I mistakenly thought they cast off the stem each spring and bloomed anew. What happens in the wild where no landscaper comes through to trim the stems? I couldn’t find an answer online, and will watch these through the next twelve months to see what happens. Quite fascinating! Nature is amazing! Thanks, Lainey 🙂 I don’t think I can do 365, but once in awhile! And I will give our lovely mountains a shout-out tomorrow on my bike ride! I forgot you were in Ft Collins for awhile. Lucky you! Family AND Durango. Enjoy every minute!! Just dropped by to say great post on the A to Z blog today/yesterday. So glad your first experience was a good one, Sammy. Thanks, Judy. I appreciate you stopping by. There are quite a few of you who “make my day” (not like Clint Eastwood) when I see you in my Reader or my comments. I sure enjoy what you have to say! I’m always fascinated by plants that manage to survive the harshest conditions. 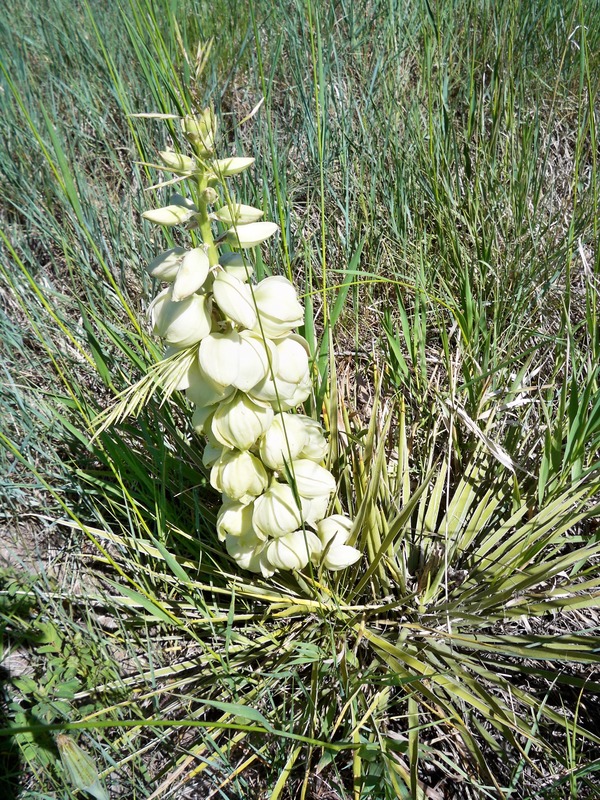 Your yucca plants seem like great example, as those seed pods seem designed (or more accurately evolved) to distribute seeds over a long period of time. Great photos, Sammy! Thanks for the introduction to Yucca plants; I didn’t know anything about them before. :-). Desert plants or high altitude tundra plants are vastly different creatures. My favorite is the sahuaro cactus which grows in Arizona. How interesting. I’ve grown up around them and didn’t notice this! I haven’t noticed it either in 5 years of riding past them! Just assumed they sluffed every year. Think I’ll mark a patch on my bike trail and observe thrm for a few years to see what happens. Just have to beware of the occasional rattler because we have those every spring! We have three very over-grown yuccas in my front yard. I need to decide what I am going to do about them. We dug them from a Northern Kansas cow pasture years ago and they have provided us with years of enjoyment…. 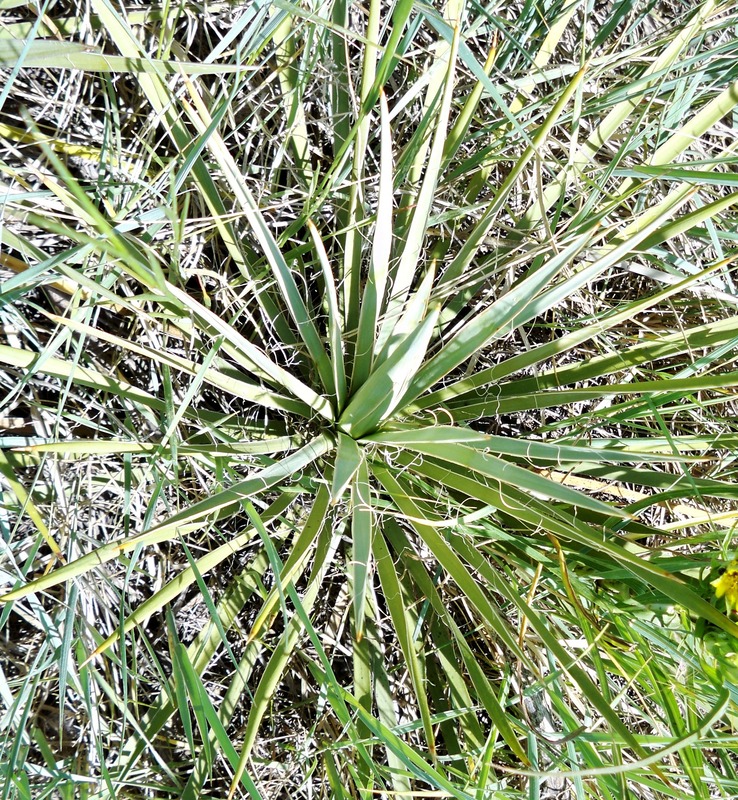 Yes, a yucca would definitely stop him in his tracks unless he has a way around it. They have sharp points and edges to the blades, and the sting lasts awhile. But I’d be a little cincerned about your boys getting poked!